This Irish wedding bell features 24% leaded crystal construction and it is etched with an Irish blessing along with shamrocks. The Irish make up bell stands 6" tall and is 3" wide at the base. 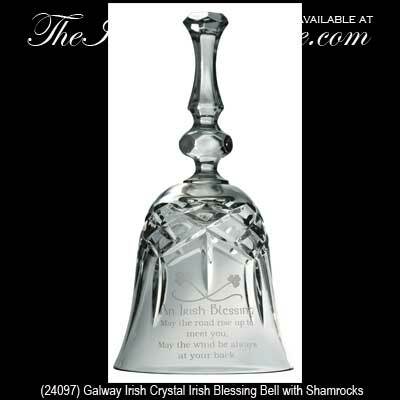 The Galway Crystal bell is gift boxed with a make up bell legend card along with a shamrock history card that are complements of The Irish Gift House.